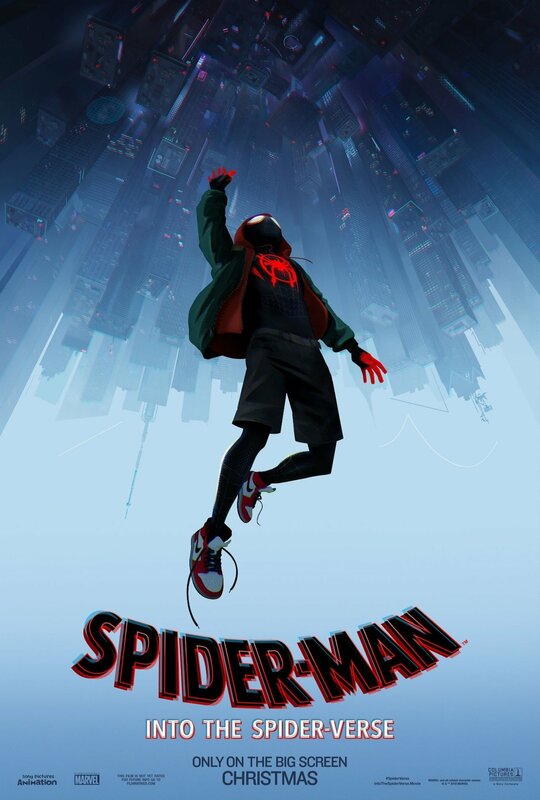 Spider-Man: Into the Spider-Verse is an innovative take on superhero movies, coming of age stories and animation. This is one of the best comings of age stories of the year, and one of Marvel’s best movies ever. If you love Spider-Man, or Stan Lee, or comics, this is a film you have to see. 100% not optional. Directed by Phil Lord and Christopher Miller, the duo behind “Lego Movie” and some of your other favorites, this movie could not fail. It’s already getting Oscar buzz and a Golden Globe nomination, and it deserves them. We follow a young Miles Morales through his first day at his new boarding school in Brooklyn for super smart kids. Morales hates his new school, and while tagging an abandoned train station he got, you guessed it, bit by a radioactive spider. Then he meets Peter Parker (three times) and more spider people. This is one of the few comic book movies that made me want to start reading comics again. This movie is sweet and endearing and better than the hype it’s getting. I’m not going to spoil anything because I really really want you to see it. In 3D. It’s worth the money. I’m going to see it at least two more times before the year is over. Here are a few of my (Spoiler-free!) highlights from the movie in no particular order. The animation. It’s incredible. It makes the movie so much more engaging. I didn’t pick up my phone once during this movie, which is very impressive. Into the Spider-Verse is legitimately laugh out loud funny. It manages to have realistic humor while dealing with some not so realistic plot points. It’s also very sad. In my opinion, it’s too sad to be considered a children’s movie. I cried from 10 minutes in until after the credits. Speaking of the credits, stay for the after-credit scene! I know you know this, but this is my favorite after-credit scene of all time. The diversity. NYC looks like New York City. Miles, his mother, and his friends speak Spanish several times in the film. John Mulaney as Peter Porker. He already earned his well deserved Emmy and now he’s coming for his Oscar. Spider-Gwen. She’s effortlessly cool. This is the character I wanted to learn more about, and it looks like I’m not alone. The other spider people. They’re hilarious shoutouts to everything that comics (and manga!) can be. But as an audience, we are never laughing at these characters. The movie respects them, and respects comics, which is something we need more of in comic book movies. Lily Tomlin as Aunt May. She’s awesome. Watch Grace and Frankie on Netflix. In order to keep this review “objective”, here are some of my least favorite parts of the movie. Some of the music. I’m not a fan of the new genre of emo rap music. I love the animation, but it can get a bit overwhelming. This movie is incredible. If you’re not convinced by now, look at what other people are saying. This is a must-see for the holiday season. For more hot takes, follow my Twitter where I talk about comics and cover comic book conventions but mostly retweet Teen Vogue articles.